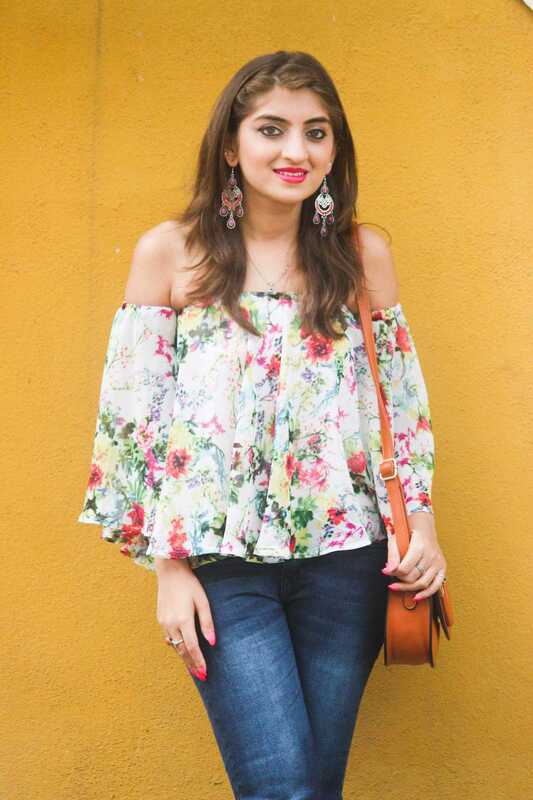 See how to style a cold shoulder trend plain & easy! Every person who sits down to write an article or a content piece, writes with the little expectation that he/she will have a group of readers who like his/her content. To have a set of dedicated readers for your blog is no different from achieving a fan base for yourself. So here I am, a blogger, writing down & sharing with you, some of my favourite outfits from my wardrobe through a number of blog posts. It may not be as trendy as it looks on other pages one might see but it’s definitely more personal. It had been a long time since I posted regularly, as hello everyone has their reasons and my break was for something extremely close to my heart, my wedding. I am not sure how it works in different countries or even cities, but I surely needed some time to understand my new life & enjoy every moment that comes along the new journey. I had done a couple of shoots before my wedding & I shall be uploading each of them now slowly, even though some of the trends I am showcasing may have moved to their peak. Nonetheless, any effort is never a waste and I can only persuade the audience to support & go along with me. If you agree then go ahead & check out the pictures below. 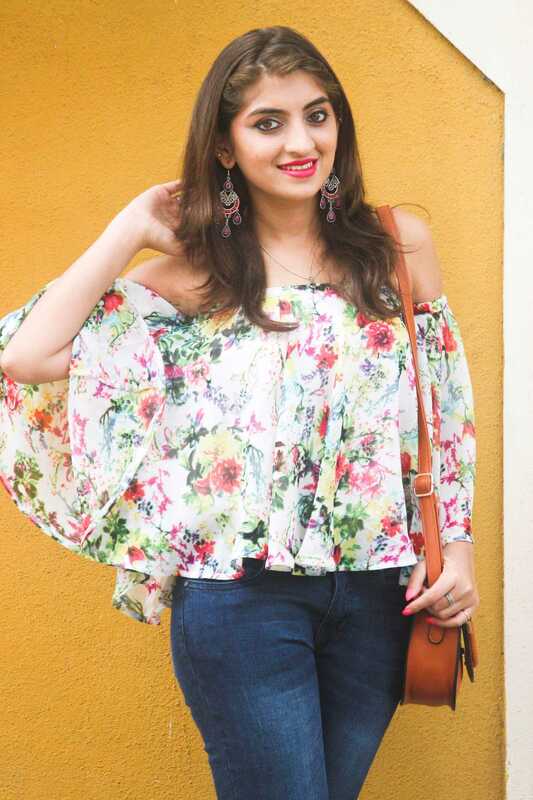 Though I understand summer is fading but this look is just too floral to wait anymore. 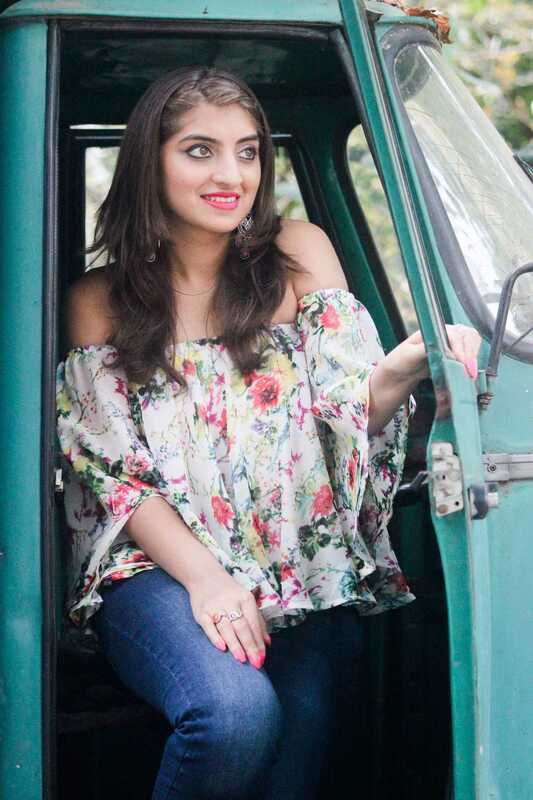 I am carrying off a very simple look, a floral printed cold shoulder top (from Koovs.com), with basic blue denims with a little ruffle detailing at the end (from Forever 21 Dubai). Since something had to be coordinated and no better combination than combining the colors of the bag & shoes, I paired the outfit with tan colored bag (from Myntra), and shoes with tiny studs detailing (from Vajor). I couldn’t think of a better way to accessorize this outfit therefore the earrings (from Westside) and that pretty much sums up my whole look. This is a look that I would carry off for a day out brunching, shopping or just hanging out. It’s pretty, it’s easy to style & completely effortless. I usually use drug store beauty products & not the high end one, but I do have a lot of products from Sephora as they are the best. 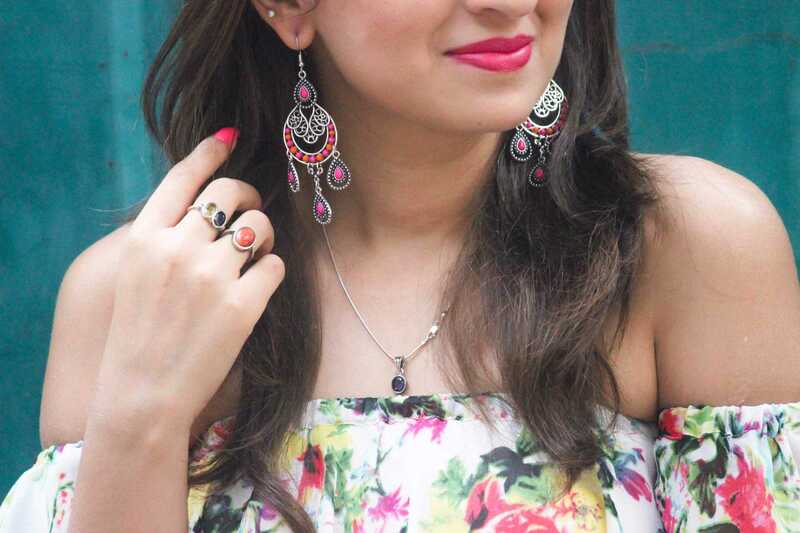 I totally love choosing bright reds & pinks on my lips as it’s connected directly to my mood. The bright colors really lift up my mood & you’re ready to take the day as it comes. Have a great week ahead and I shall see you soon with a new post really soon! 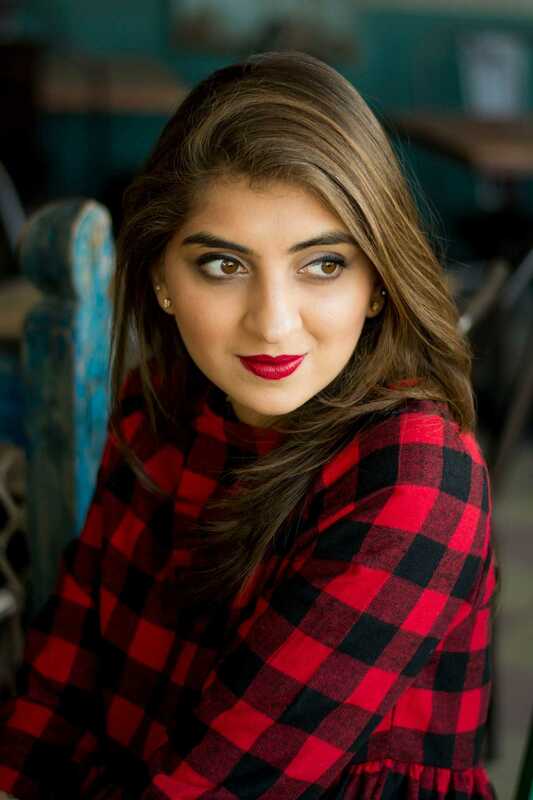 You can follow me on my social media handles to see what else I’m up to apart from blogging!